The Dallas Safari Club (DSC) apparently is not as concerned about conservation as it is about giving a hunter the thrill of felling an endangered black rhino and hoisting it up on his wall. According to a Namibian newspaper, the DSC is threatening to withdraw its $350,000 donation to them if the US denies an import license for a yet-to-be-identified black rhino scheduled to be hunted and culled in the name of conservation. The DSC knew from the get-go that it had to seek the permission of the US Fish and Wildlife Service for importation. Were they so arrogant to think that it was a given? The USFWS states on its website that they "have provided guidance to the Dallas Safari Club and Dallas Ecological Foundation on specific criteria that must be met for the Service to consider issuing a permit for the importation of a sport-hunted black rhino trophy." For species protected under the Endangered Species Act, an import permit is issued if it is taken as part of a "well-managed conservation program that enhances the long-term survival of the species." Perhaps the overwhelming criticism of DSC's plan has forced them to reassess the risk of submitting for a permit and being denied? A year ago, USFWS did issue a permit for a sport-hunted black rhino trophy taken in 2009 from Namibia. However, the USFWS explicitly states that the issuance of that permit does not guarantee the issuance of future permits. 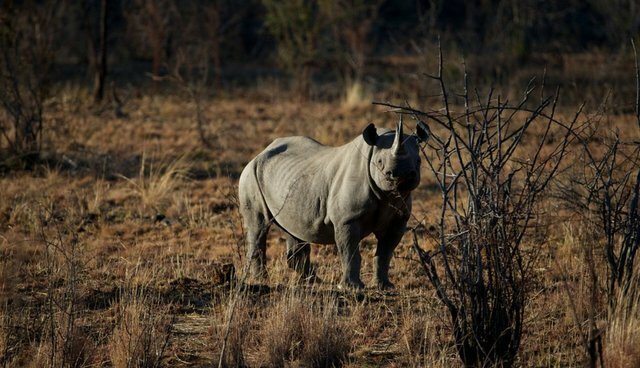 "The review of any future applications will be based on the eligibility of the applicant, biological data of the specific black rhino being hunted, as well as any new information available at the time the application is received," the organization states. With all of those factors in mind, maybe is it not the slam dunk the DSC had assumed it would be. And this is their tactic: to threaten withdrawal of the donation. International Fund for Animal Welfare president and CEO Azzedine Downes and I have both spoken passionately against the farce of portraying this hunt as a conservation measure. IFAW rejects the "killing them to save them" philosophy. Azzedine said in his recent blog that despite the support of special interest hunting groups and some specialists, "it certainly does not represent our view of ‘modern wildlife management.'" "Such thinking is, we believe, anachronistic and neglects to take into consideration what scientists studying animal behavior in the wild have learned over years of research: that single animals are the building blocks of their societies," he says, and has a bevy of his own experts to back him up, from Dr. Rudi van Aarde and Dr. Cynthia Moss to Dr. Jane Goodall. From an ecological perspective, it makes no difference whether the hunter is motivated by greed, poverty, or an incredibly tasteless and morally repugnant style of interior decorating. The world can't afford more losses of this endangered animal. This latest tactic by the DSC to pressure USFWS for an import permit signals that it knows it is on the losing end of public sentiment and may even doubt its ability to meet the standards set out in the permit requirements. IFAW will continue to urge the USFWS to reject the import permit request on the basis of not only science and conservation, but from a sense of ethics and morality.